Pike Skeleton | FISHING FURY - A Fishing Blog with Attitude! One thing you rarely get to see is a fully intact fish skeleton. We come across dead fish all the time when fishing, but half of it is usually missing. 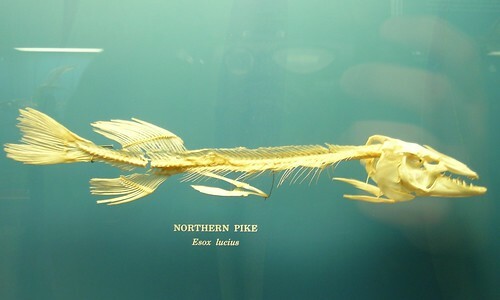 Heres a perfectly intact pike skeleton I found on flickr this morning.